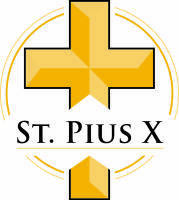 As good stewards at Saint Pius X in the Diocese of Charlotte, we all have a role in protecting children, young people and vulnerable adults. The diocese has adopted policies and procedures to safeguard those whose care has been entrusted to us. All those who regularly come into contact with children, young people and vulnerable adults, and all those who serve as "the public face" of the parish in liturgical ministries are required by the parish to fill out a Diocesan volunteer form, a Diocesan background check form, attend the Virtus training and keep up-to-date with training bulletins through the Virtus website. We as a parish are committed to doing all we can to protect the most vulnerable in our community.